For more than 40 years, Rennes Group and its family of companies have provided highly experience skilled nursing and caregiver teams in our state-of-the-art facilities throughout Northeast and Northcentral Wisconsin. From Renaissance Assisted Living featuring assisted and independent living apartments, to Rennes Health and Rehab Centers including skilled nursing and rehabilitative therapies, to Residence by Rennes – our newest facility –with assisted living and memory care – our care team at Rennes Group is committed to providing the highest quality of care. We invite you to explore our web site and experience the Rennes Difference. Rennes Group prides itself on being a family-owned business with the Rennes family opening its first facility in the 70s, and the first assisted living residential care apartment complex (RCAC) facility in the state of Wisconsin in 1997. 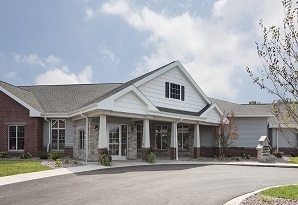 Today, our care team spans 12 beautiful facilities – from memory care and assisted living to our skilled nursing facilities with post-surgery rehab and physical, occupational and speech therapies in Appleton, De Pere/Green Bay, Peshtigo, Marinette, Rhinelander, Weston/Wausau, and Wisconsin Rapids. We dedicate ourselves to providing high quality, personalized care to meet the growing needs of residents in Central and Northeast Wisconsin. We demonstrate a commitment to the communities we serve and value our reputation of providing excellent services to our residents and their families. Enjoy an online tour, visit our location pages to learn more about the care we provide or contact us today.